When the Constitution was created the framers decided that the issue of education should be left in the hands of the states. We have always seen local governments take the helm in providing public education to students, whether free or not. 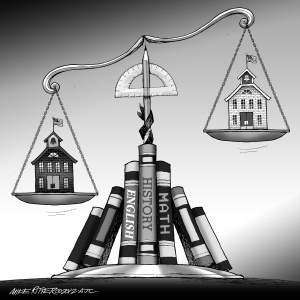 It wasn’t until after the Civil War that we began to see a major emphasis in public education across the country. Of more than 62 million school aged students in the United States, 55 million are part of our public elementary and secondary education system. Most of the rest of these students attend some form of private school. Local school districts began to raise money for school and decide in which way students would be taught early on. Indiana set up the first modern public school system in 1816. State guidelines provide for local responsibility in the area of education today. Still, it is the local school district that makes up the primary administrative unit for public schools. Even though education is under the direction of state and local leadership, the federal government does get involved. The federal government provides various forms of aid to local schools, although it generally is less than 10 percent of the schools total funding. 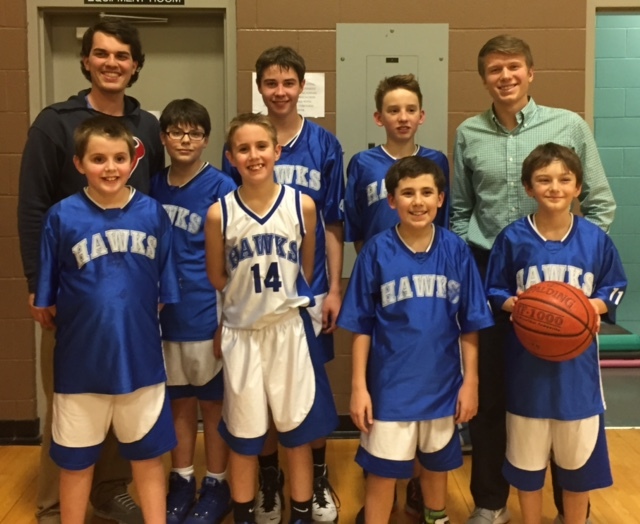 To receive this funding, the school districts must follow certain rules and regulations. They are not allowed to prohibit students through gender discrimination or disability. Recent years have seen new areas in how the federal government says local schools cannot discriminate students in school activities. The start of the 21st century introduced a landmark education bill known as the “No Child Left Behind Act.” This law, under the approval of then-President George W. Bush, authorized $26.5 billion in federal spending on education. It also added to the rules a school must follow. One of the rules was that students in grades three through eight must take a series of state tests in reading, math, and later science. Bush wanted to establish a system of accountability for schools not performing to certain levels of acceptance. Bush expressed that “every child can learn and you must show us whether or not every child is learning.” Some have questioned the performance generated by NCLB and it still is a hot topic in the education community. Probably the biggest issue facing state governments is how to give high-quality education equally to every student. There is a large spending gap between wealthy and poorer school districts. It occurs because many districts greatly rely on the property taxes that fund schools, and property values are not the same in every district. The value of a typical 3-bedroom home in one community may be vastly different for the same house in another community. A community with a healthy, expanding tax base has far more to spend per student than a community that has not benefited from the same growth in property tax values. Finances are not the only area that schools experience problems. Some experience low test scores, high dropout rates, and crime and violence on school property. 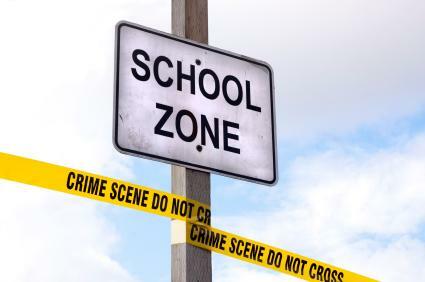 There are some districts where students must go through a metal detector when they arrive at school and armed police officers spend the day on the school campus. Other districts have had their administration tasks taken over by the state due to low test scores. ​Dealing with dropout rates and violence can require a wide range of remedies, many of them necessarily occurring outside the schools. Many of these problems are rooted in broader social problems of poverty, broken families, drug abuse and alcoholism, and crime and violence in the streets. To combat poor academic performance, more than 30 states permit the creation of charter schools. A charter school is one that receives state funding but is excused from meeting many public school regulations. Some educators thing that this freedom will encourage charter schools to be more innovative than conventional public schools. Former public school teachers and community groups may establish and run charter schools. Those that are against charter schools argue that they take away funds from public schools and that they are likely to enroll many of the better students, leaving the “problem” students behind in the public schools. Those that agree with charter schools claim that they are not necessarily more innovative and there also seems to be no sign that they are luring away the best students from public schools. 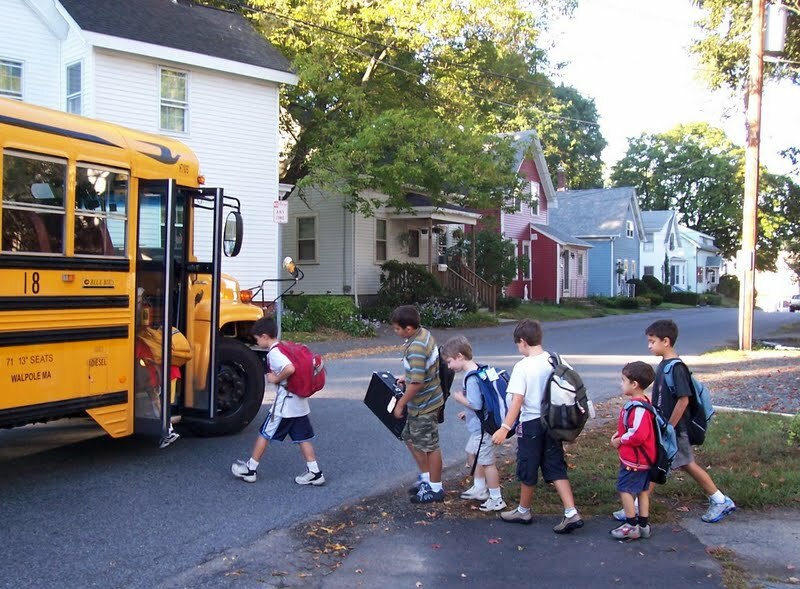 Another form of school choice is cities and states providing parents with tuition vouchers. A tuition voucher is a kind of government money order. 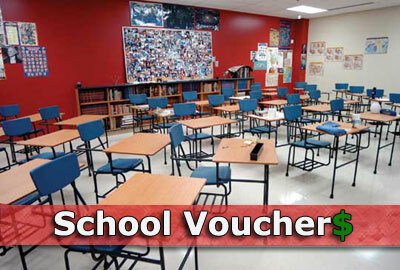 The parents can use these vouchers to pay for their kids attending a private school. Teachers’ unions oppose vouchers because they feel they funnel education funds out of the public school sytem and into private schools. Others contend that vouchers violate the First Amendment because they can be used to pay for tuition at religious schools. 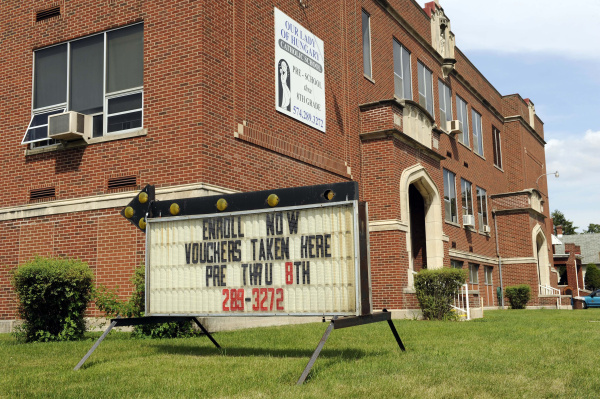 In Cleveland, about 95 percent of students participating in the voucher program attend religious schools. The Supreme Court has rules that it is constitutional to use public money, or vouchers, at religious schools. A more extreme alternative to the traditional management of schools is for private companies to contract with local districts to run the schools. These corporations promise to improve the quality of education and do it more cheaply than public schools, while making a profit for themselves. Only a few privatized schools exist, so it is difficult to judge their effectiveness. Opponents to privatization argue that companies will cut corners on education, putting profit ahead of what is best for students. The 2001 federal education bill requires states to test all students in reading, math, and science in grades three through eight. Some also require students to pass competency tests in order to be promoted to the next grade or receive their high school diploma at the end of their 12th grade. Missouri requires End of Course Exams (EOCs) for various high school courses. Those supporting competency testing claim that it holds schools and teachers accountable but many teachers’ organizations are against these types of tests. They claim that it forces teachers to spend valuable classroom time teaching “to the test,” or concentrating on passing tests instead of how to understand the subjects that are being taught. Have you or someone you know ever been a victim of a crime? Many Americans feel that at some point they will become a victim of a crime if they haven’t already. The crime rate in our country increased rapidly from 1960 to 1980 but had a leveling off period and then dropped in the 1980s and 1990s. 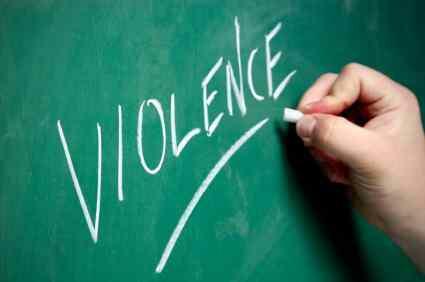 Unfortunately, many crimes and violences have occurred on school grounds in the last twenty years. Crime rates are usually highest in larger cities, where poverty and crime go hand in hand. Poor people struggling with low paying jobs may look at crime, such as robbery or drug dealing, as a better way to make a living. They may see criminals living lucrative lives and driving expensive vehicles and wish that they could afford such things. Others may see having a normal job as impossible. Many of the poorest inner-city residents drop out of school early and spend much of their time on the streets. Crime is often the only way of life they know. Some of these situations may also be found in more rural areas, as some drug manufacturing has been popular in areas with limited law enforcement. America’s large cities have many more police officers than in all the nation’s state, county, and small-town law enforcement combined. Because of this, urban (or city) police are the main crime-fighting force in the United States. Many of the law enforcement found present in rural areas (more than 3,000) are only county sheriffs and deputies. There are quite a few communities that have school districts but no local law enforcement other than county representatives. Every state has a law enforcement agency known as the highway patrol or state police. Its main responsibility is highway safety, but it can play an important role in investigating crimes and capturing suspects. A major function of the police is to enforce the law, but most of the daily work of uniformed police officers involves keeping the peace. This may include handling neighborhood disputes and providing services like directing traffic. Must of the credit for the drop in crime is given to the use of community policing. Under this program, police become a visible presence in neighborhoods, walking or riding bicycles and getting to know local residents. The program also works to get residents involved in neighborhood watch efforts. The government tries to help Americans suffering from ill health, old age, poverty, and physical disabilities with welfare programs. Policymakers struggle over the two-pronged problem of how to reduce poverty and how to administer government financial aid to the best effect. Critics of welfare programs claim that they undermine the self-respect of the poor and encourage dependency. Defenders of the welfare programs claim that they are the only way the poorly educated, unemployed female heads of households and their children can avoid homelessness and hunger. Years of debate gave way to Congress passing an act called Temporary Assistance for Needy Families, or TANF in 1996. It ended the 60 year old program of Aid to Families with Dependent Children. TANF also gave more power to the states to set the rules for future welfare eligibility. Under TANF, the federal government gives money to the states to pass on as welfare payments to poor people. Each state has considerable authority to decide who is eligible and who isn’t, plus how much money they get. There are some federal rules attached. There is a five-year lifetime limit on receiving welfare assistance, and states are required to develop job-training programs to help the poor leave the welfare rolls and become self-sufficient taxpayers. The number of people on welfare dropped substantially with TANF. In 1995 about 14.2 million people received welfare benefits. There were only slightly more than 6 million in 2000. In 11 states, welfare caseloads dropped by more than 60 percent. Some critics of TANF claim that its successes are due mostly to the economy of the late 1990s. The labor shortage of this time made it relatively easy for unemployed welfare clients to find work. Some fear that when the economy slumps people are forced off the welfare rolls and end up being helpless, without jobs or welfare to ensure them food and shelter.